04 Mart 2019 Pazartesi 09:02 - 5 reads. An unarmed, Stephon Clark, 22, was in his grandmother's garden in Sacramento, California, when the police killed him with eight shots, six of which of the shots hit him in the back. Stephon Clark was suspected of vandalism against a couple of cars, and the police opened fire when they thought that he was in possession of a handgun. It turned out subsequently to be a cell phone. Now the public prosecutor in California decided not to raise charges against the two officers who last year killed Clark. But the family announces on Sunday that they will continue the fight for justice. - This is only the beginning. The fight for justice has only just begun, says SeQuette Clark, the victim's mother. Clark's family has sued the city of Sacramento for more than 20 million u.s. dollars, equivalent to more than 130 million crowns. The family believes that it was Clark's skin color, which cost him his life. 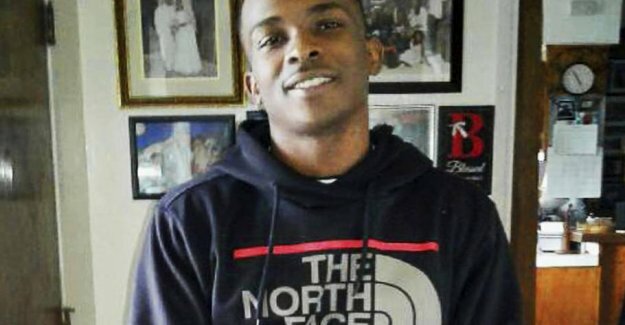 Stephon Clark's brother, Stevante Clark, said at a news conference on Sunday that he is crushed that there is not criminal charge was filed against the officers. - You should not rely on the prosecutor says the brother, having regard to the distriktsadvokat Anne Marie Schubert, who acquitted politibetjentenes the use of force. the Killing led to massive protests and accusations of racism in connection with the arrest. It is far from the first time that there have been cases of police officers who shoot and kill black men in the UNITED states. In 2014, was the killing of the black teenager Michael Brown in a suburb of St. Louis the starting point for the nationwide movement of 'Black Lives Matter'.